“Email” is that magic word that provides solutions to so many opportunities, but nowadays, it’s not only omnipresent but also well established. It was not so long ago that first email clients came into existence, yet now the functions of electronic messages go beyond simple instant communication. Naturally, the greater the necessity for emails, the bigger obstacles will occur — it’s simply how industry works. Capitalizing on the needs of the masses is no new strategy. To that end, numerous add-ons and programs have popped out to ease the growing need to address unnecessary emails. Certainly, some of them have found their audience, but the simple truth is that there are common strategies that will help everyone optimize the time spent addressing incoming messages, and for free, to boot. 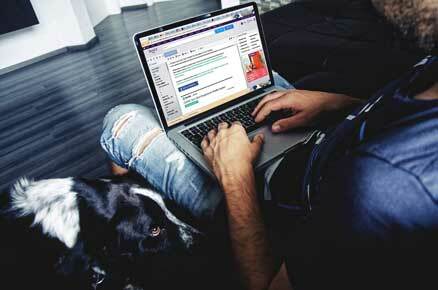 We bring you seven tips on how to deal with your inbox efficiently at all times. Turn off your email notifications — both for your computer and mobile phone. No, we’re not joking and yes, we are aware of that pressing thing called “urgent emails.” Email notifications are the single greatest disruptor in a busy environment. In fact, it takes only one email interruption to cause concentration loss. Research has it that, on average, an email notification delays the current activity by 23 minutes and 15 seconds. Scary, isn’t it? That isn’t to say you should forget about urgent emails. All email clients offer that fine perk called “email rules” (or something to that end, depending on the client), which should be used abundantly, and to your benefit. From common functionalities (such as are automatic moving, flagging and responding to emails) to advanced options, this solution allows for setting up a perfect plan for dealing with incoming emails. Think in terms of templates! Dividing incoming emails into important ones and those that can be dealt with later is the single most important step to optimizing the time spent on checking new messages. Creating folders and labels will help you do exactly that — and some other things beside. I.e., labels coinciding with folders will be automatically sorted out (in most cases, that is), making it easier to grasp a bigger picture of your inbox at a glance. Make use of colors, too! It’s no secret that visualization does half of the work (applies to all use cases). The auto-response option is set in place to help you handle generic emails (some other examples come to mind, but those you are already aware of, we’d wager). However, it only serves its designated purpose if it makes handling email more efficient. If it generates more questions than answers, then you’re doing it the wrong way. A simple example is: make sure that the auto-response contains information about when your reply is to arrive. If you receive an abundance of similar emails, you can formulate auto-responses to serve as templates. I.e., create an auto-response for general inquiries, one for FAQ and one for the rest — informing the recipient when to expect a customized reply. Allocate one to two-time slots for checking new messages. The designated sessions should be contrived in such a way that they don’t interfere with your busy schedule. Most business people allocate two slots: one in the morning (before work) and another in the evening (after work and before their leisure time). Don’t postpone addressing any new message. Clear your inbox after every checkup. Allocating up to two-time slots per day to check new emails is a clever strategy, but unfortunately insufficient. It is also necessary to decide on a time limit for the sessions. No general rules apply, as each recipient is different, but make sure to choose a reasonable period. I.e., if you receive ten emails per day on average, half an hour should suffice. For busy people, statistics have it at up to two hours per time slot. If you make use of folders, auto-responders, and templates, the time needed will be significantly decreased. Not to exaggerate, but whitelists and blacklists will do half of the job for you. This holds particularly true in case of generic emails and repeating senders. Spam filters are not sufficient anymore, so why not make use of the blacklist option? It’s free and widely available, so go for it. 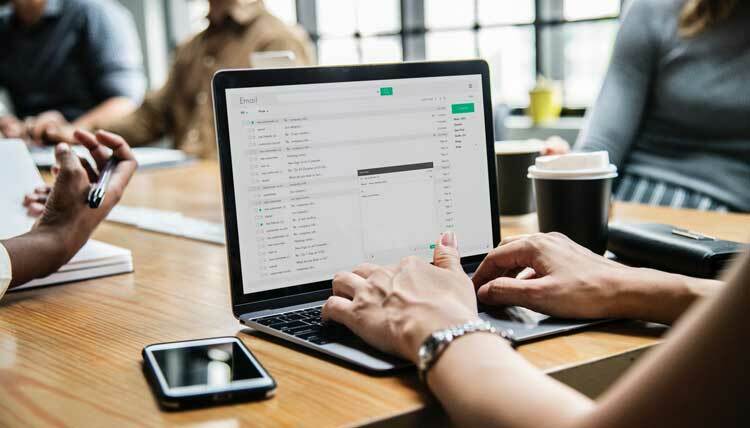 There’s no ultimate wisdom to covering all aspects of the problem called “email,” but these simple tips are certain to make your life easier, help you optimize your busy schedule and teach you the value of routine… at least when it comes to generic yet unavoidable tasks, that is. Use them away! Hello, This is Arindam Ghosh a passionate blogger, Digital marketer, tech enthusiast, Android App Developer From India.